The commencement ceremony at University of Southern California is the most highly anticipated event in any given year, when the university proudly confers degrees to its newest alumni. Now a beloved tradition, the university hosts esteemed luminaries to address the graduating class, as well as awarding of honorary degrees to individuals who embody Trojan ideals. Found on the list are governors, university presidents, humanitarians, captains of industry, and even the first man on the moon. 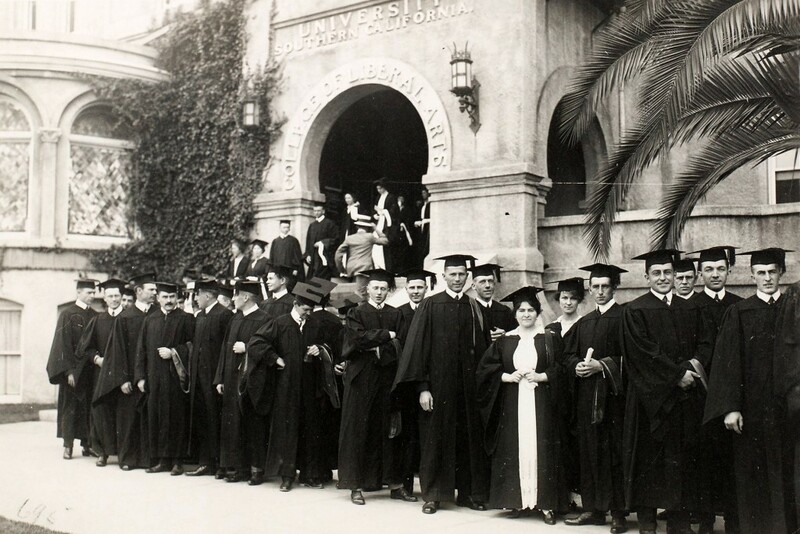 While it can be pinpointed that the university did not bestow honorary degrees until 1912, or that the university’s first commencement speaker was the brother of Marion Bovard, USC’s first president, the identities of many of our earliest speakers have been lost to the ages, and from 1931 to 1942 the university had no commencement speaker. Outside of those years, even a cursory glance at the identities of past speakers will reveal a rich tradition of leadership and excellence in USC’s commencement speakers. Below is a list of USC’s most recent honorary degree recipients and speakers. Find the complete list of University of Southern California’s past commencement speakers and honorary degree recipients here.